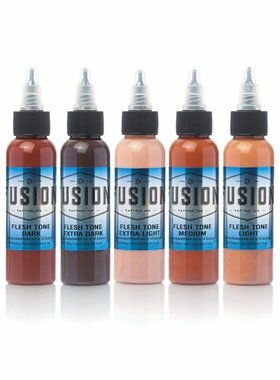 Fusion Tattoo Ink - Flesh Tone Set 5 x 30ml. 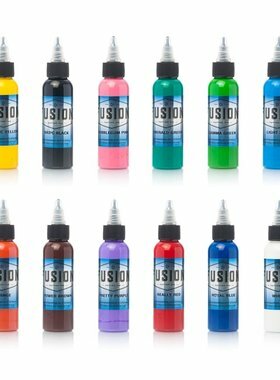 Fusion Tattoo Ink - Opaque Blue Set 5 x 30ml. Fusion Tattoo Ink - Muted Color Set 5 x 30ml. Fusion Tattoo Ink - Pastel Color Set 5 x 30ml. Fusion Tattoo Ink - Opaque Grey Set 5 x 30ml. Fusion Tattoo Ink - Opaque Grey Set 5 x 60ml. 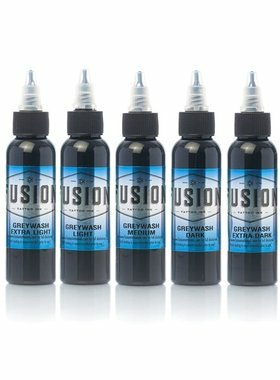 Fusion Tattoo Ink - GreyWash Set 5 x 60ml.